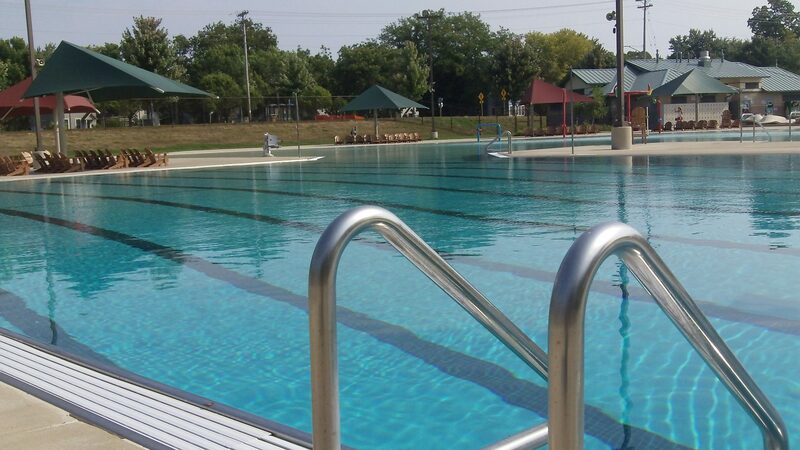 Mounds Pet Food Warehouse will sponsor Dog Fest at Angell Park in Sun Prairie on June 14, 2015. Once again, Capital K9s will participate at this delightful event. Click here for more information. Officers of the Madison Police Department K9 Unit will demonstrate apprehension techniques. A special treat is to have your photo taken, along with your dog(s), inside a police squad car. It promises to be a great time for all! 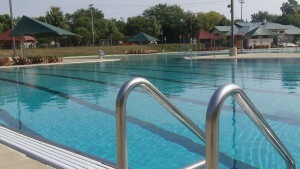 Mark your calendar for the 9th annual Dog Paddle on Sunday, September 13, 2015, at Goodman Pool. This is our signature event and our biggest fundraiser! 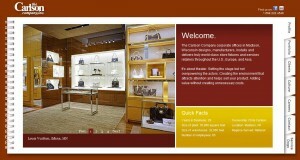 Click this link for a sneak preview. Learn more about Capital K9s. On February 17, 2015, K9 Johnny celebrated his retirement from the Madison Police Department with his friends. Chief of Police Michael Koval praised K9 Johnny for his 10 years of dedicated service. Sgt Chris Boyd recognized both Police Officer Jim Donnell and K9 Johnny for their contributions to safeguard the citizens of Madison. Thanks for your dedicated service, K9 Johnny! Enjoy your retirement! Madison Police Officer Jim Donnell and K9 Krahnie tracked down a bank robber today. The armed robbery occurred at the Anchor Bank located in Monona at 6501 Monona Dr. at 8:34am. A witness saw the robber run across the Beltline. K9 Krahnie was started in the area the suspect was last seen. The team tracked the suspect through some thick marsh along the Yahara River. The area was so thick Officer Donnell had to work K9 Krahnie off leash. He would let her track then down her so officers could catch up. Officer Donnell eventually saw the suspect hiding in thick brush and ordered him to stand up. Seeing the suspect stand, K9 Krahnie attempted to apprehend the suspect. Officer Donnell ordered his K9 to down and she remained on guard until the suspect was taken into custody. 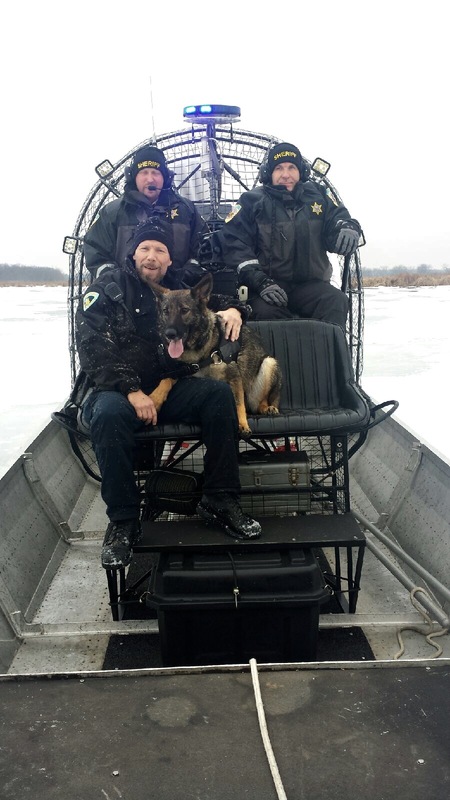 The apprehension earned Officer Donnell and K9 Krahnie a ride back to their squad on the Dane County Deputies air boat! 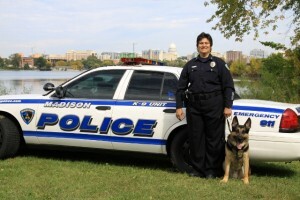 Remember, the entire K9 unit of the Madison Police Department is funded through donations. Capital K9s and the Madison Police K9 Unit would like to thank local businessman Chris Carlson of The Carlson Company for providing a training site for our dogs and a home-cooked meal for their handlers at a recent team training! Check out this video of Officer McKenzie and K9 Josh as they perform a training track completely indoors! Madison Police Officer Teresa McKenzie and K9 Josh assisted Maple Bluff Police with a vehicle sniff in early-January. K9 Josh’s positive alert led to the seizure of 31 grams of crystal methamphetamine, 10 ecstasy pills and various drug paraphernalia, most of which was found concealed in the engine compartment. Maple Bluff Police later executed a search warrant on the offender’s vehicle and residence which netted an additional 61 grams of crystal meth, 48 ecstasy pills, 70 acid tabs, 972 grams of bath salts and more drug paraphernalia. Way to go Officer McKenzie, K9 Josh and Maple Bluff Police! On November 18, 2014 the ‘Life is Good’ store located at 514 State Street was robbed at gun point by a masked man at approximately 7:26pm. The suspect had leaned across the counter to get the money. K9 Slim and Police Officer Carren Corcoran responded to the store approximately 45 minutes after the incident. K9 Slim picked up the robbers scent from the countertop and he tracked out of the store, up a block, to turn up a side street and then to an alleyway. K9 Slim tracked the length of the alley and came to a chain link fence. K9 Slim did not show a fence crossing and instead turned himself around and tracked back out of the alley. K9 Slim tracked up a block and turned into a large flat public parking lot- the Buckeye Lot. K9 Slim worked the entire parking lot and provided a car pick up indication in a particular parking stall in the center of the lot. The district lieutenant began to view video footage of that particular parking lot at the time of the robbery and observed a silver SUV pull into the lot and back into the stall K9 Slim had provided a car pickup at. The vehicle had pulled into the parking lot moments prior to the robbery and quickly drove out a few moments later. The vehicle drove out southbound on W. Gilman Street. The vehicle did not have a front license plate and video cameras angle could not capture the back license plate. The vehicle did have a sunroof and dark wheel coverings. Detectives then reviewed video footage of the Buckeye parking lot from a prior and similar robbery approximately 5 days prior to the November 18th incident. That track was done by K9 Falko and Police Officer Rose Mansavage. The track ended with a vehicle pick up in a church parking lot on the opposite side of the block where K9 Slim’s track ended. The video from that day also showed a silver Dodge SUV in the Buckeye Parking Lot around the time of that robbery. Based on the suspicious action and timing of the vehicle, coupled with both K9 tracks, detectives over the next two days began to research all the silver Dodge SUVs in the Madison area. They eventually located a Dodge SUV with sunroof and dark wheels registered to the parents of a known heroin addict who fit the suspect description. A search warrant was obtained to have a GPS placed on the vehicle. Eight days later a store was robbed at gun point by a masked man and the GPS provided live information that the vehicle was near the location of the robbery. The Madison Police were able to locate the vehicle and make a high risk traffic stop. K9 Slim sniffed the vehicle exterior resulting in an alert to the odor of illegal drugs. Search incident to the K9 alert resulted in locating the gun and money from the robbery. The twin brothers confessed to all the robberies mentioned above. On November 18th the robber ran from the store and stood in the alley K9 Slim tracked down. The robber’s twin brother – the getaway driver–had dropped the robber off to commit the robbery and pulled into the Buckeye lot to wait. The previous armed robbery on State St. was conducted the same way, although the robber was dropped off at the other end of the Buckeye lot and picked up in the church parking lot. Detectives were diligent in following up on the informational track provided by Slim which led to the video camera footage. This is due to their ongoing trust in the K9 units’ abilities. “My K9 Partner Boris and I responded to assist a Wisconsin State Trooper on a traffic stop. The driver fled from the scene prior to our arrival. As units flowed into the area, they set up a perimeter. I responded to the stop location to collect a scent for K9 Boris to track. The car was locked so I swabbed the driver’s door handle to collect the suspect’s scent. The Trooper had lost vision of the suspect fleeing north of the traffic stop. I responded to that location with 3 backup Officers. No weapon info at this point the only info available the suspect fled the traffic stop and he may have a warrant. The suspect left a very nice foot impression in the snow. His direction of travel was towards a heavily wooded area which upon first look did not appear anyone could get through the thick growth. K9 Boris took scent and tracked into and through growth. I had to drop his tracking line in order to make it through. K9 Boris tracked to a storage yard of a construction company. Numerous construction vehicles and junk were in this yard as well as several employees. K9 Boris tracked from west to east in the fenced in area eliminating the employees as suspects. The track was lost and we returned to the point I knew we were on track. K9 Boris was restarted and he tracked to the suspect who was hiding behind a large crate and a stack of tires. He was visible only once we were on top of his hiding spot. We had passed him on the first track coming within 10′ of his location. The was located approximately 400 yards from traffic stop by K9 Boris and placed into custody. Effective January 1, 2015, leadership changes will take place at Capital K9s. 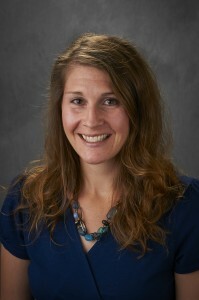 President Kristen Fuhremann concludes her two-year term of office with Capital K9s. At a recent Capital K9s board of directors meeting, Sergeant Chris Boyd, of the Madison Police Department (MPD), recognized Kristen’s stellar leadership and thanked her for her significant contributions toward Capital K9s in helping fund the MPD canine unit. Most recently, Kristen represented Capital K9s at Dog Fair at the Alliant Energy Center and introduced Police Officer Henry Wilson and K9 Boris, who conducted a demonstration at this event. Kristen will continue to serve as a member of the Capital K9s board of directors. Treasurer/Secretary Dan McIlroy ended his tenure as officer and member of the CapitalK9s board of directors. As one of the original founders of Capital K9s, Dan has contributed his time and talent, including the resources of his business ProAdSpec Inc., toward the success of many fund raising efforts of the organization. President Kristen Fuhremann thanked Dan for all that he has done for Capital K9s and commented that the vacancy created by his departure will be difficult to fill. President Elect BJ Bethke will assume the role of President for Capital K9s. BJ has been a member of the Capital K9s board of directors since 2011. His service on a number of Capital K9s committees has prepared him for this leadership role.